Oliver’s Racing young gun Kai Chapman claimed another victory last weekend. 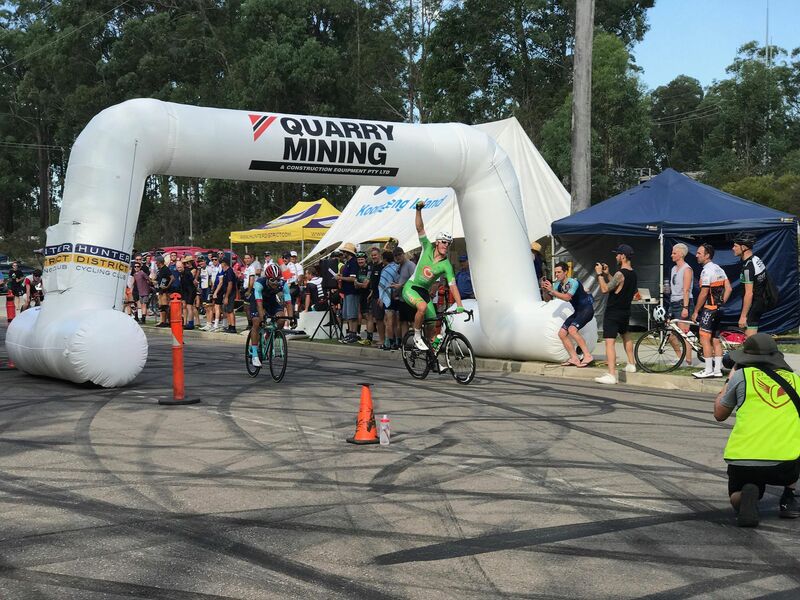 The 18 year old sprinted to victory at his home event the Orica Kermesse, held at the Hunter Economic Zone on Saturday. Chapman overcame Chris Powell (Nero-KOM) in an uphill sprint to the line after being setup perfectly by his team in the closing laps of the 94km race. An early breakaway of 8 riders which included Oliver’s teammate Clinton Edwards looked to have stolen the show with just 10kms of racing to go. However the Oliver’s team managed to shut down their advantage of nearly 2 minutes in the final part of the race. Edwards launched a late solo attack in the closing kilometre as the break was caught, and was only caught by the charging peloton with 300 meters to go.